TORONTO - A university in Toronto will teach members of the city's police service about diversity and how to avoid bias, the force announced Monday, saying the initiative was part of its efforts to modernize. 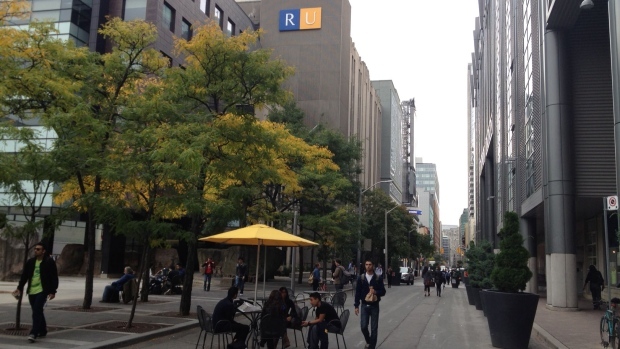 Toronto police say Ryerson University has designed a new course specifically for its officers, and members of the force will also be able to enrol in existing courses at the school. The force said the new course on diversity and "bias avoidance" is not mandatory. "As a service, we are driving towards furthering our professionalism and active accountability," police Chief Mark Saunders said in a statement, noting that Ryerson would help "create new and relevant learning opportunities for the members of Toronto Police Service." The work with Ryerson comes after Ontario's Human Rights Commission announced in late November that it was conducting a wide-ranging inquiry into Toronto police practices to see to what extent the force's actions involved profiling and discrimination against the black community in a number of areas including stops, questioning and use of force. The commission said the inquiry was prompted by decades of complaints about racial profiling and discrimination by city police officers. At the time, Toronto police said the service welcomed the inquiry and viewed it as a chance to improve community relations. The partnership with Ryerson will "augment," not replace, the existing Toronto Police College, police said Monday. "The Ryerson Partnership doesn't have the capacity to enrol all members of the Toronto Police Service, but the courses offered allow registered members to explore concepts in greater depths," said spokeswoman Sandra Buckler. 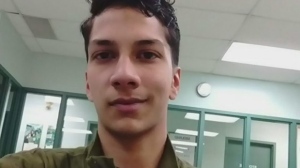 For the courses offered through the partnership, Buckler said nearly all slots were filled as soon as police service members were informed. The Toronto Police Service provides "annual, mandatory training to all our uniform members that includes diversity and bias avoidance," she said, adding that every course at the Toronto Police College has a component of diversity. Police said the connection to Ryerson will ensure that existing police courses meet the standards of the "broader community" and facilitate research opportunities for both the university and the police service. Officers will also be able to earn credits toward university certificates, diplomas and degrees through the program, which will be offered through Ryerson's G. Raymond Chang School of Continuing Education. "Our innovative programming, leading research, and use of cutting-edge technology will help support the modernization of police education and training," Chang School Dean Marie Bountrogianni said. Rodney Diverlus of Black Lives Matter said there is some skepticism surrounding the course in the black community. "We're way past the point of needing courses," Diverlus said Monday evening. "We actually need to see some concrete changes, some concrete practical changes to the way that policing is being done in Toronto."